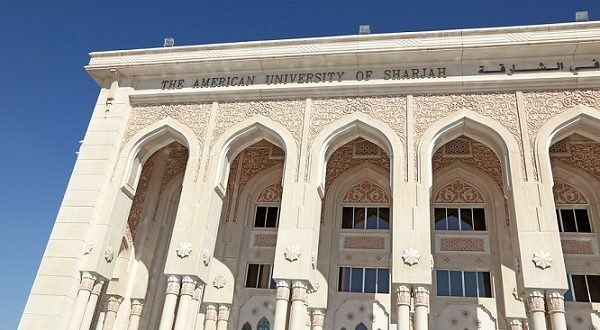 American University of Sharjah (AUS) has been ranked by the Times Higher Education World University Rankings 2018 as one of two universities with the highest percentage of international students. According to the ranking of the world’s top 1,000 universities (an annual publication of the UK’s Times Higher Education magazine), international students account for 84 percent of the total students enrolled at AUS and 84 percent of the enrollment at Eastern Mediterranean University in Northern Cyprus. Meanwhile, AUS was also ranked in the top 15 compared to other Arab universities and ranked in the 601-800 bracket of the top 1,000 universities globally. Other universities ranked in the top five for their enrollment of international students were the London School of Economics and Political Science in the UK with 71 percent foreign students, Royal College of Surgeons in Ireland with 64 percent, and the University of Sharjah with 61 percent. 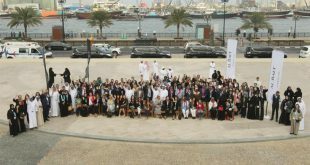 Founded in 1997 by His Highness Sheikh Dr. Sultan bin Muhammad Al Qasimi, Member of the Supreme Council of the United Arab Emirates and Ruler of Sharjah, the American University of Sharjah is a not-for-profit, independent, institution of higher education located in Sharjah’s University City. The University offers 26 majors and 45 minors at the undergraduate level, plus 13 master’s degrees. Last year, plans were announced to make AUS the top research university in the Arab world within the next five years. The Government of Sharjah reportedly plans to invest US$500 million dollars (AED 1.8 billion) in the university over the next five years to fund the university’s research goals and this year allocated US$ 74 million (AED 270m) for scientific research. AUS Enterprises, the American University of Sharjah’s investment arm, is currently developing the AUS Research, Technology and Innovation (RTI) Park, an economic free zone located next to the university. RTI Park will help the university lead efforts to develop scientific research, foster innovation and encourage knowledge-led ventures, including the creation of laboratories and other research facilities. AUS is also consistently ranked among the top ten universities in the Arab world by QS World University Rankings, compiled by British education specialist Quacquarelli Symonds (QS).